Hi, I follow your posts on your site. 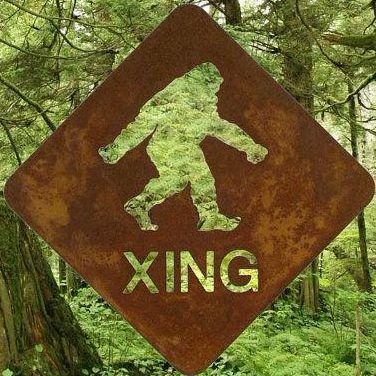 I was talking with a new fb friend… She said I needed to ask you about the Sasquatch that I am encountering… Thank you! My life has changed so much over the past few years. I went through a really bad cancer and died several times. Anyhow since then everything has changed and I have been seeing the Forest People. Sometimes with my eyes or I will hear them telepathically. That’s very seldom though, mostly I see them in my pictures. I still have so many questions about them. I’m not sure exactly what they are or where they’re from or what they want from me? I was told that the one I had communication with in Indiana and she followed me home to Michigan. A shaman said that she was me?? There are many different types and they have been visiting my home. I share some of the pictures I take on my private fb page. I wonder if they like that? I have hoped it might help to bring awareness that were not the only ones living in earth and that as humans we should have more respect for our environment. If you have time, you could look at my page …friends of the forest giants on fb. Then you will see what I’m talking about. When I first started I didn’t really understand how everything is connected spiritually. Just wondered if this is a type that you see out West. I believe that its a baby dogman type, but not sure. They played all summer with the dog in a clearing in the woods. Sometimes I could see them and sometimes only in pictures! I believe they were babies and about 10 of them. I had to copy pic from my computer so their not very clear. They have a large white almond shaped eye. Like I’ve seen on many native american Indian masks. There was always dogman watching from the trees. Just wondered if you recognized what they were. Thinking it might have been a dogman nest of babies. We do have a lot of them here. They are seen with the bigfoot and many different other beings. Thanks for taking a look. I watched your interview live! You did an excellent job! I was glad to see that you spoke the truth about the forest people. Thank you for sharing! I don’t know if you remember our conversation about my grandson’s car wreak? These pictures of the wreak were taken by the police officer. He came back to the hospital to show me. My grandson was thrown up into the tree out of his smashed car window. The officer couldn’t believe he survived! Later I went back to the area where he wreaked and found the tobacco bag I left for the forest people in another location several miles away! I really believe it was a sign that they saved him! What’s strange about the pictures with my grandson’s accident is that the orb with the blue face, looks like me.